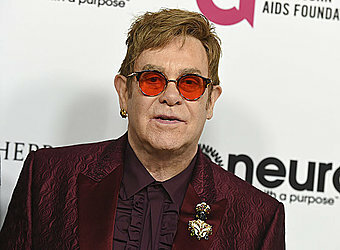 NEW YORK (AP) — U2 and Elton John are headed to the Grammys to help the organization celebrate its 60th awards show. The week leading up to the Grammys will also feature some high profile performers: Eminem, Dave Matthews and Childish Gambino are part of the "Citi Sound Vault" from Jan. 24-28 at Irving Plaza in New York City. Thirty Seconds to Mars will kick it off on Jan. 24, followed by The National, Eminem, Gambino and Matthews with bandmate Tim Reynolds.